Udita leads six popular weekly singing groups. They are for older people, or anybody any age with long-term health problems (e.g. breathing difficulties, Parkinson's, Depression, Alzheimer's, MS, Stroke, Heart conditions, Cancer, mental health problems). They are also a great chance to make friends and have fun! You don't have to be able to sing! 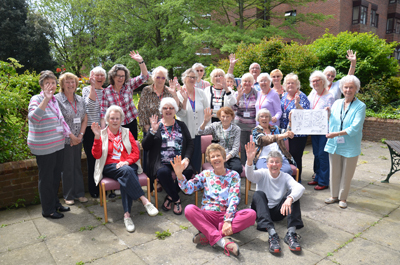 Their aim is to improve health and wellbeing, using a combination of relaxation/ stretching/breathing exercises, and singing songs together. We want to support people with long-term health problems cope better with daily life, help to prevent illnesses, physical/ mental deterioration and resulting social isolation. 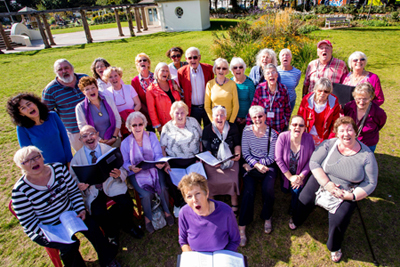 Singing profoundly benefits health and wellbeing - on many levels!